Whether it is residential, commercial or industrial plumbing or HVAC, our highly trained plumbers will get the job done! Our trained A/C technicians will replace, repair or service your air conditioner…residential, commercial, industrial! 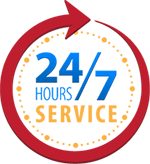 Looking for a professional 24/7 local plumber? Need emergency A/C repair or installation? We are your one stop plumbing, heating and air conditioning (HVAC) contractor! RAM Plumbing Heating & Air Conditioning is your local one stop plumbing, heating and air conditioning contractor. We are family owned, and we have established ourselves as the leader in providing the best rated plumbing services to residential, commercial, and industrial clients. We offer experience and expert 24 hour services, and no plumbing job is beyond our range – our plumbers take care of any plumbing or HVAC need you may have from routine upkeep to drain cleaning to major emergency repairs to new installations. RAM Plumbing Heating & Air Conditioning is licensed, bonded and insured! Whether you are a business or home owner, you can depend on our professional team of plumbers to provide personal attention to quality and service that is unmatched. Located out of Corona, California, we service the entire Inland Empire 24 hours every day! RAM Plumbing Heating & Air Conditioning is proudly serving the Inland Empire since 1976 with the best rated work quality and superior level of customer service. We are your local one stop plumbing, heating and air conditioning service company and HVAC contractor providing service and repair for any size jobs, whether it is a water heater, trenchless sewer, or water pipe replacement. We are family owned and operated and are proud of employing only the best plumbers and AC specialists, making us the local leader in providing 24/7 plumbing/HVAC services to residential, commercial, and industrial clients. How do you know if you need an emergency sewer repair? You have a sewer back up, and it starts smelling very bad! Without any hesitation, I did quick internet research within Corona and Norco and was very happy to come across RAM Plumbing Heating and Air Conditioning, as they provide emergency sewer repairs. The nasty sewer backup smell really forces you to quick action! Their plumber showed up in a very timely fashion and found a problem with the 4-inch sewer pipe, which he had to replace. Not only did he correct the problem, but he removed the other remnants of the cast iron pipe and made the entire section better. The plumber was very meticulous in his work, which made me a happy customer. Hopefully, I don’t get any more sewer backups…so far so good! My water heater was about to let go, and my regular plumber wasn’t very responsive because he obviously did not want to do the work that day. As the water heater began to leak, I called RAM Plumbing Heating & A/C, which had been recommended by my neighbor. There were here within one hour, disconnected the old heater and installed a new one later that day saving me plenty of trouble and money had the water heater given way and flooded my house. Their staff was friendly, professional and had “no messing around” attitude. I was very appreciative of the quick turn-around, and RAM Plumbing Heating and Air Conditioning will for sure get my business from now on. We’ve hired RAM Plumbing Heating & Air Conditioning to replace the entire heating/air conditioning system in our 2,600 sqft Corona home as the system was over 20 years old and was forcing us to pay huge electrical bills due to its inefficiency. The brand new system included furnace, A/C fan, attic duct system, thermostat, vent registers, and enhanced electrical components. RAM Plumbing Heating & Air Conditioning came in with a very competitive overall cost, and we were able to see one of their previous installations at another home in Corona. The installation was very clean and professionally completed, so it was no brainer to hire them, especially that we’ve heard that they really have a good reputation in our community. I am a manager of a large apartment complex in the Inland Empire, and over time I have basically figured out how to do most of plumbing myself due to the fact that I had difficulties finding a decent plumber in the area, or because they were simply overpriced. So recently, I was stumped by an issue with a heating/air conditioning system, and I couldn’t locate the problem. After a search on Google and ShopCorona.com, I called couple of companies but only RAM Plumbing Heating and A/C picked up the phone. They showed up on time and diagnosed furnace malfunction. It took the plumber a lot of extra time to do a super good job, and I expected a huge bill. To my surprise, he only added just a very small amount onto the original estimate. This wasn’t the experience with the prior plumbers, who wanted to charge me an arm and a leg just because they thought that we had lots of money to pay since we are an apartment complex. Very happy because furnace/heat is up and running again! Had a toilet leak issue but the guys over at RAM Plumbing, Heating and Air Conditioning did a great job fixing it! The plumber that came out was surprisingly well dressed, really nice, and very professional. I have two cats that crawled all over him while he was working - poor guy took it without a word! He ended up replacing the toilet gasket at the base…problem fixed! Bottom line, if you live in Corona or the Inland Empire and need a plumber, this plumbing company is a great choice based on my experience with them. The RAM plumber came in quickly, made quick work of diagnosing the problem (faulty valve) and even went as far to replace two sections of pipe along with the valve behind my stove. He quickly went to his truck to retrieve the parts that were needed and completed the work. Called the gas company, they came back, turned my gas back on, and the leak was gone. I completely and whole heartedly recommend RAM Plumbing to anyone in need of a plumber. The technician was prompt, professional, reasonably priced and treated my home with care and treated me with dignity and respect as a customer. I hope not to have to see him very often, but if I ever have another plumbing issue, he's the first person I'm calling.